As a service that impacts our everyday lives, it’s no surprise that the postal industry has made its mark on the world around us – from influencing the fashion industry right through to making it in Hollywood. From the numerous TV documentaries to major blockbusters, it’s a theme that is ubiquitous across a number of sectors: especially in the entertainment business. A rarity, as this film features a US postal inspector hero – with Alan Ladd taking on the protagonist role of Al Goddard. The plot focuses on the killing of a fellow inspector, with Goddard tasked with protecting the witness – however, this film is memorable for the amusing appearance of Jack Webb and Harry Morgan (later renowned as detectives in “Dragnet”). This film showcases Greg Kinnear as con man Tom Turner, where following his latest arrest, he’s sent to work at the local post office’s Dead Letter Office – the place where all the undeliverable mail ends up. After accidentally sending money to someone who had addressed a letter plea ‘to God’, this inspires his colleagues as well as himself – a real feel-good film. 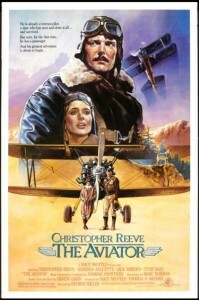 Starring Christopher Reeve as a US airmail pilot, the film tells a story of how he’s entrusted with carrying the daughter of a rich man on his plane – where despite encountering danger after crashing into a mountainous region, romance potentially conquers all! Set in France, Wilhelmenia Fernandez plays a Paris mail carrier – where his devotion to opera lands him in hot water, after his secret recording of the performance of an American diva gets confused with a tape concerning a corrupt policeman. Directed by Michael Radford, this sees an Italian mailman learn to love poetry while delivering post to a famous poet – using his new passion to woo the beautiful Beatrice. 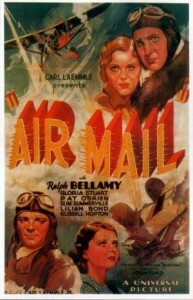 Ralph Bellamy plays Mike Miller – owner of Desert Airport, an air mail base. Following the lives of the airmail pilots, the film shows the risky journeys they undertake to deliver mail. And if you were wondering why we didn’t feature Kevin Costner’s ‘The Postman’, for those who haven’t watched it, there’s a reason why we left it out of our list!